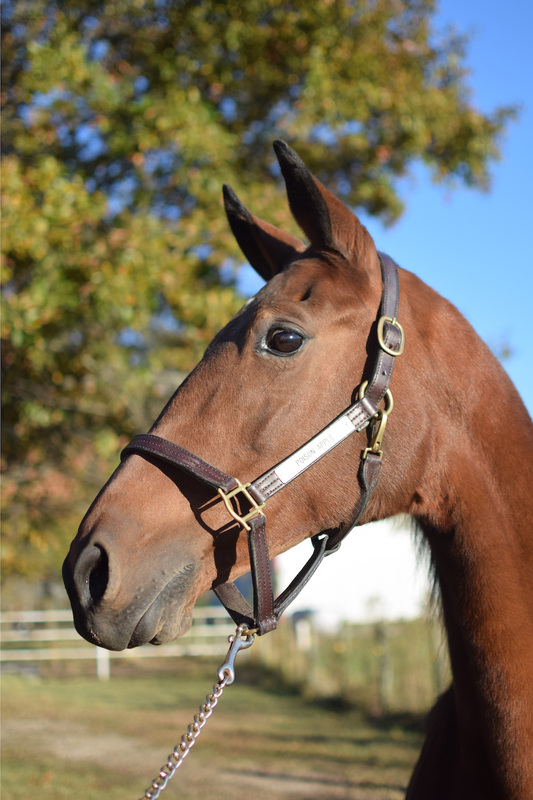 Apple is a 2004 bay American Saddlebred mare and the first horse boarded at AEC. Her favorite pastime is eating, followed closely by acting more intimidating than she actually is. Apple has a bit of a storied past, overcoming multiple injuries to return to the show ring in 2013 with her owner, Allie. She has been featured in Saddle & Bridle Magazine and had her own blog on the S&B website for a number of years. Between her past owners and trainers to the many vets who treated her, everyone knows Apple; with her huge personality (some good, some not quite so good…) she is difficult to forget, but very loved by her AEC family. 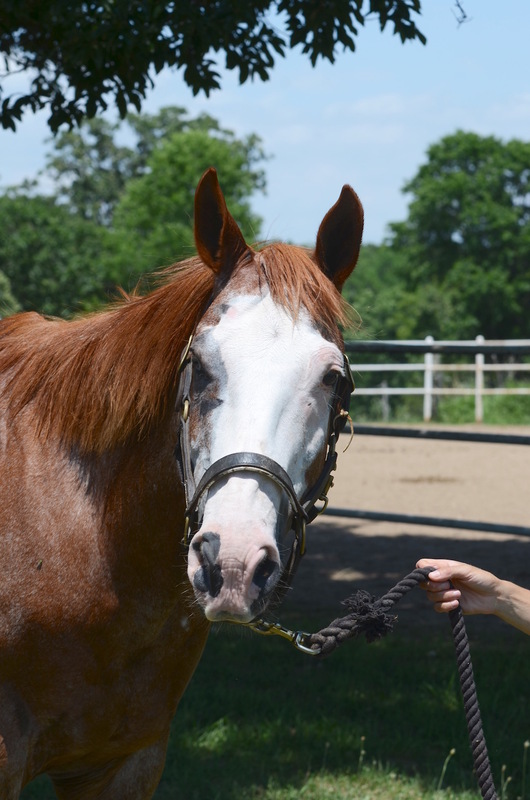 Flynn is a retired American Saddlebred gelding being boarded at AEC. 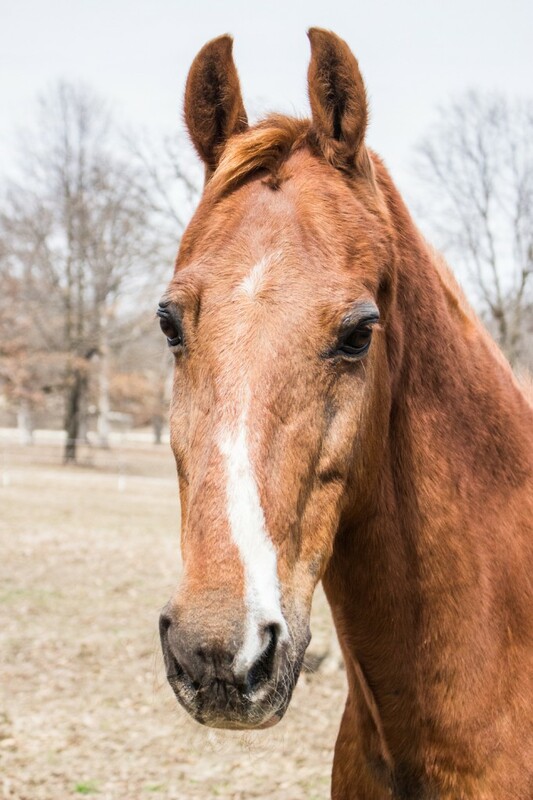 He was a adopted from Saddlebred Rescue as a project horse when his owner was in high school, and followed her to Missouri when she moved to attend college. We are happy to have this sweet boy with us at AEC! 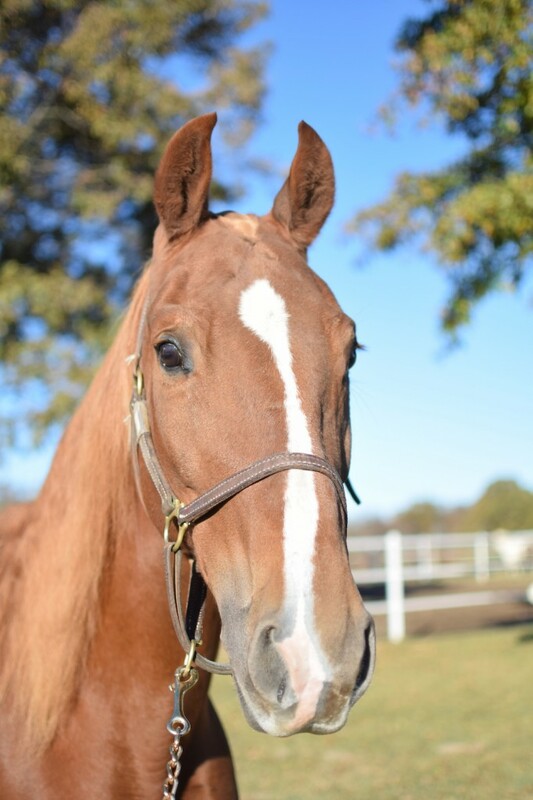 Gonzo is a quirky American Saddlebred gelding on lease from William Woods University’s equestrian science program. With his light mouth and just the right amount of sensitivity to your cues, he shines at teaching riders to canter as well as perform equitation patterns. When not teaching his riders, Gonzo is a real ladies man, who loves spending time with the barn mares. Major is one of AEC’s boarded horses. 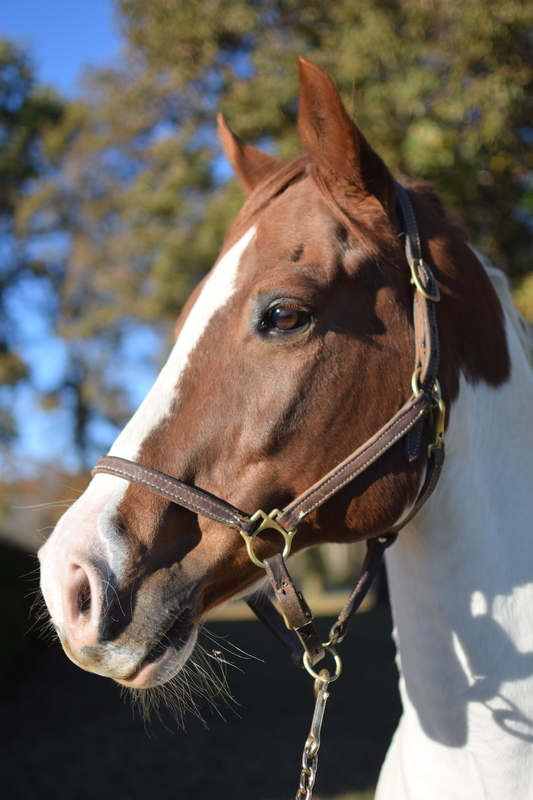 He is a 8 year-old Quarter Horse gelding. He is learning how to navigate the trails with his buddy Rio. Someday soon, he will learn how to jump. 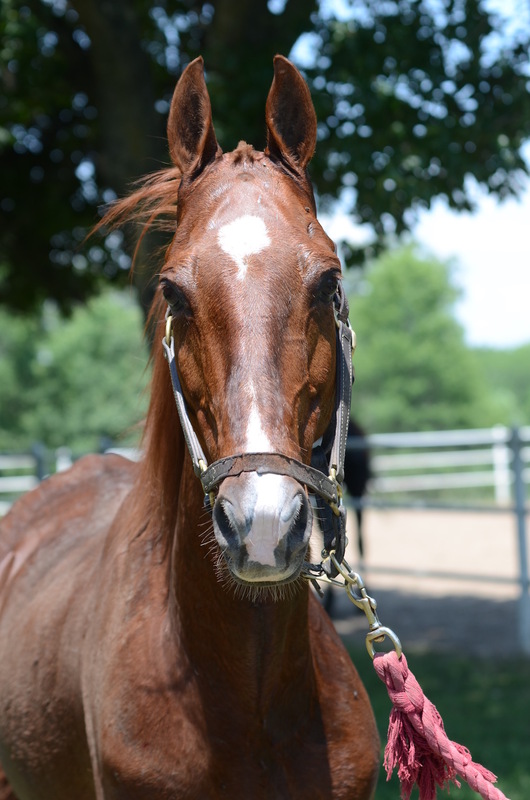 Mark is a chestnut American Saddlebred gelding owned by AEC. His job is to teach the lesson students how to ride. Though he loves his work, Mark really enjoys his days off when he gets to be turned out in the pasture. Another of AEC’s boarded horses, Rio is a 14 year-old Paint gelding. He is best friends with Major. Rio loves long trail rides and is happy to go out in any type of weather. He is a seasoned traveler and has lived in many different states. 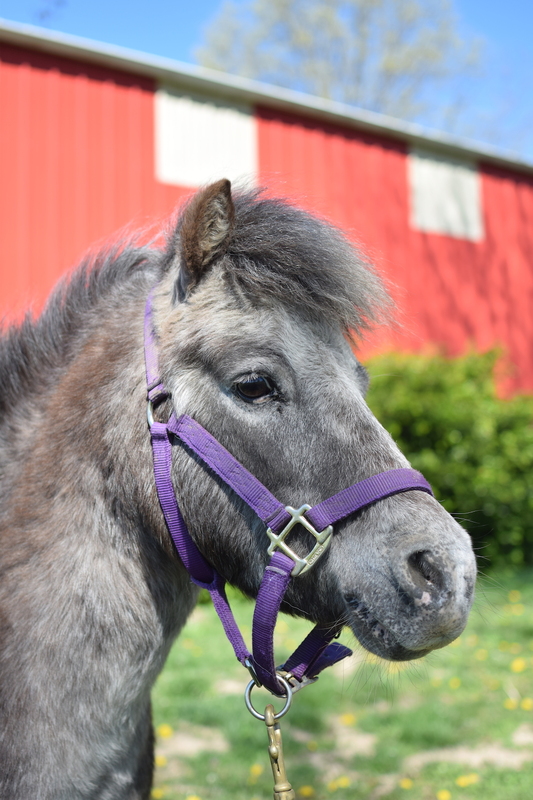 Thor is a mixed breed pony that probably has a lot of Shetland in him. He teaches both riding and driving lessons. 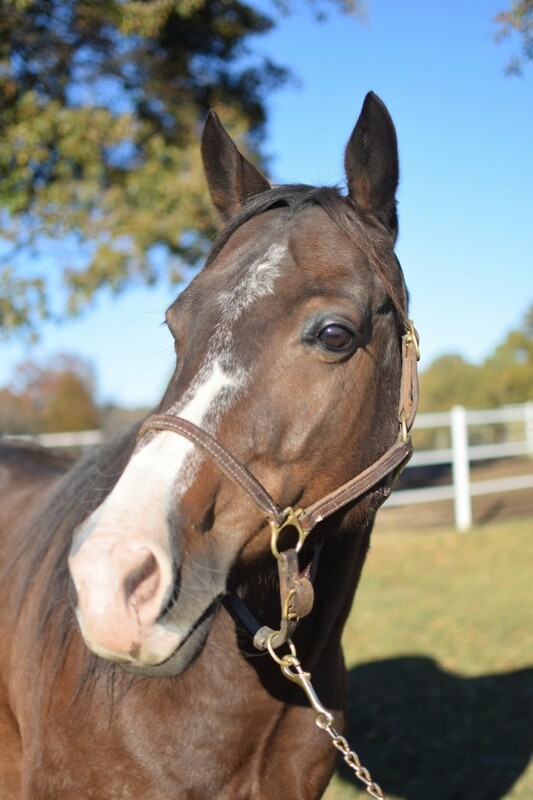 Though he enjoys his life as a lesson pony, he also has a side job, participating in “pony parties.” Thor loves apple flavored horse treats, and is learning a number of new skills, like how to bow and give hugs. 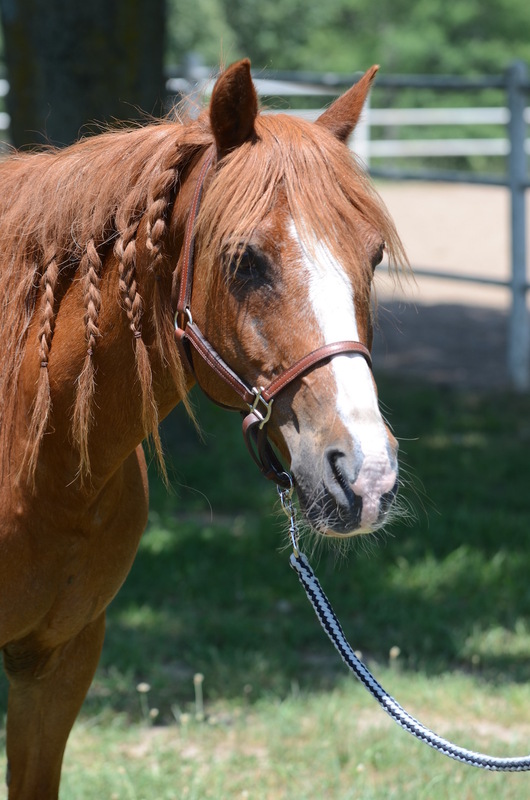 Another of AEC’s boarded horse, Scottie is a chestnut Welsh/Arabian cross gelding. He excels in driving, but is also happy to go under saddle or take a trail ride. 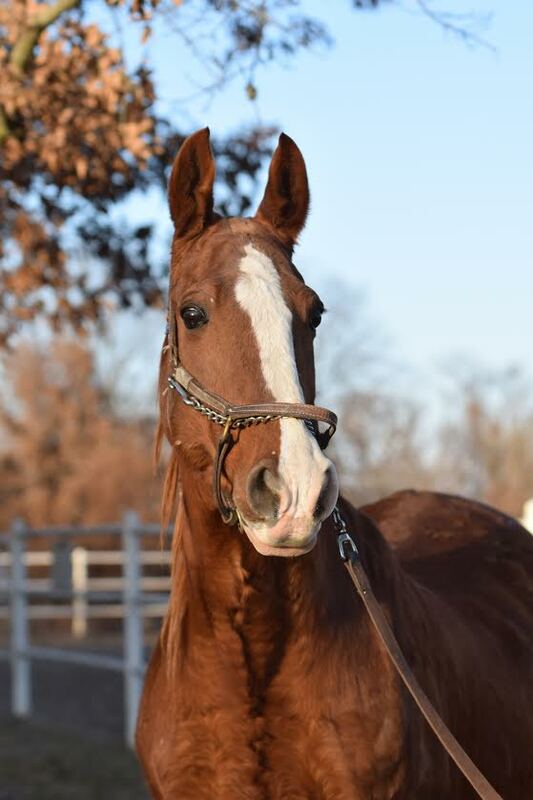 Winnie is a 25-year-old American Saddlebred who was adopted from a local horse rescue. A past World’s Champion Five-Gaited Pony, Winnie has more heart and gameness at 25 than most horses have in their prime. She is not ready to retire and be a pasture ornament, so she serves as an advanced horse in our lesson program — because Winnie wouldn’t have it any other way!